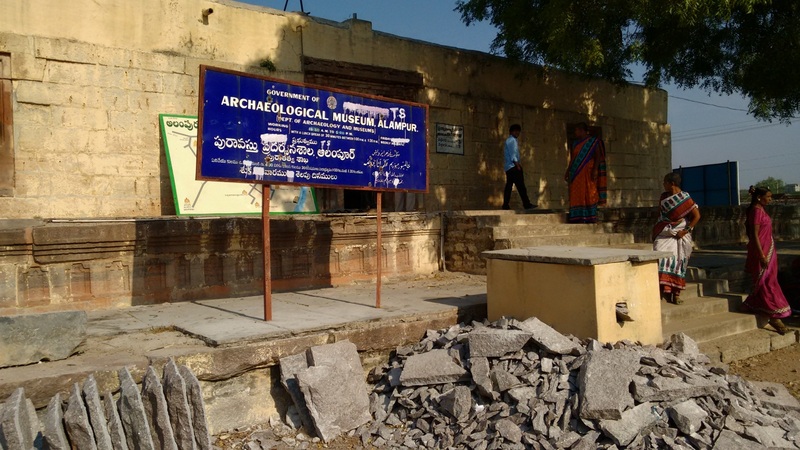 Alampur - the village with Badami Chalukyan time stamp in Andhra. 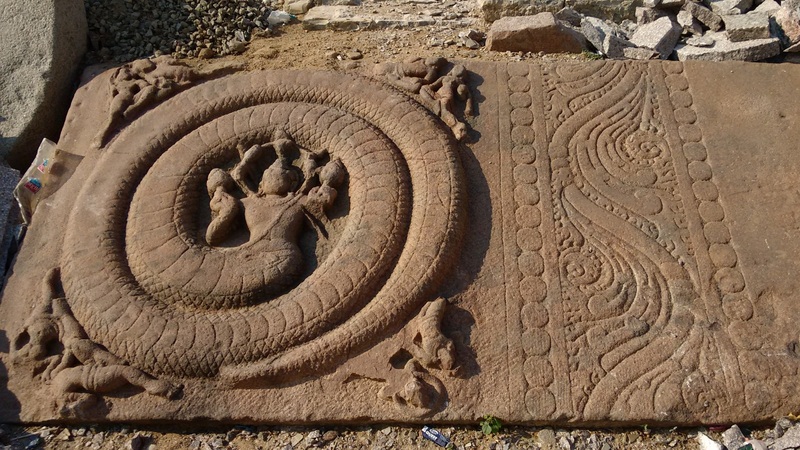 Alampur previously known as Hatampura / Halampuram is situated on the western bank of river Tungabhadra, close to Krishna-Tungabhadra confluence. 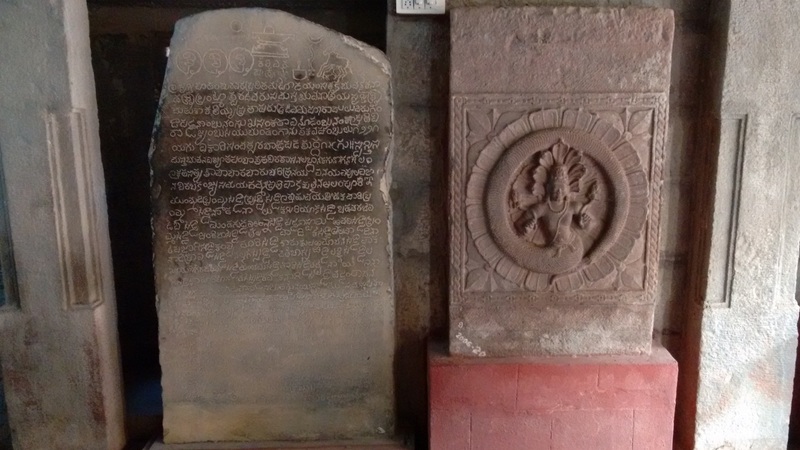 A Chalukyan inscription in Kannada dating back to Tribhuvanamalla Vikramaditya VI mentions the name Hatampura. 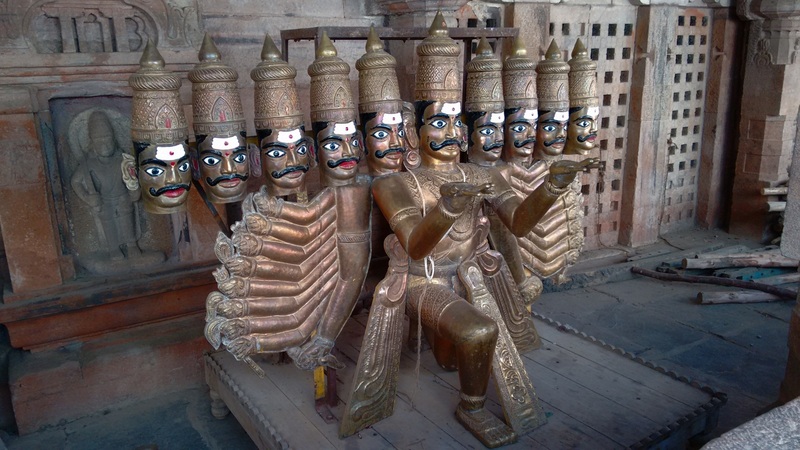 Badami Chalukyan, worshippers of Lord Shiva known for their remarkable temple building skills. 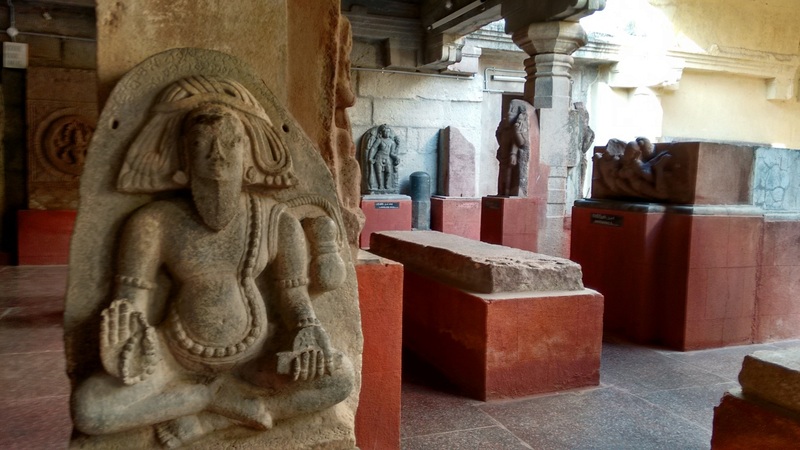 Chalukya's architecture originated at Aihole; Aihole, known as the cradle of temple architecture is situated on right bank of river Malaprabha; here Chalukyan builders experimented and developed designs. 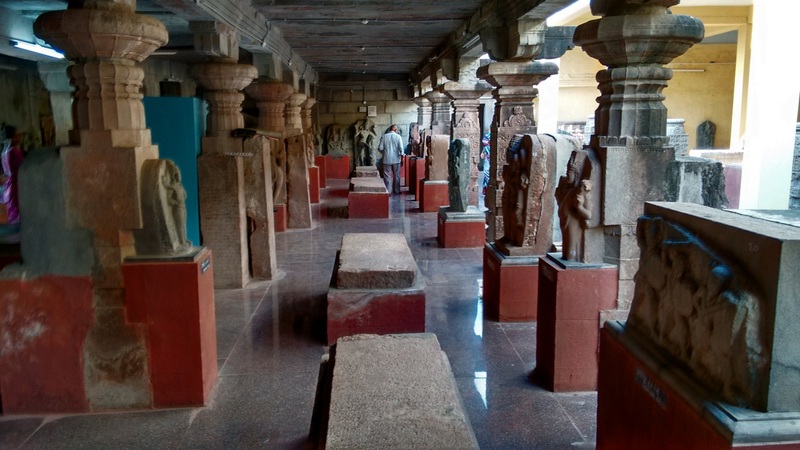 Chalukyans also built temples at Pattadakallu, Siddanakolla, Halae Mahakoota, Hosa Mahakoota, Badami, Banashankari and many more places. Coming back to Alampur, this historic place is popular for two things- 1, Nava Brahma temples built by Chalukyans and 2. 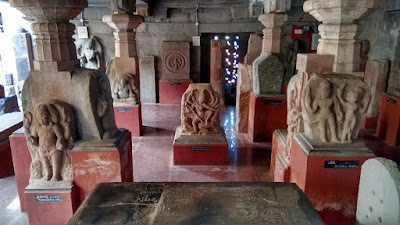 Jogulamba temple - this is one of the eighteen Shakti peethas. 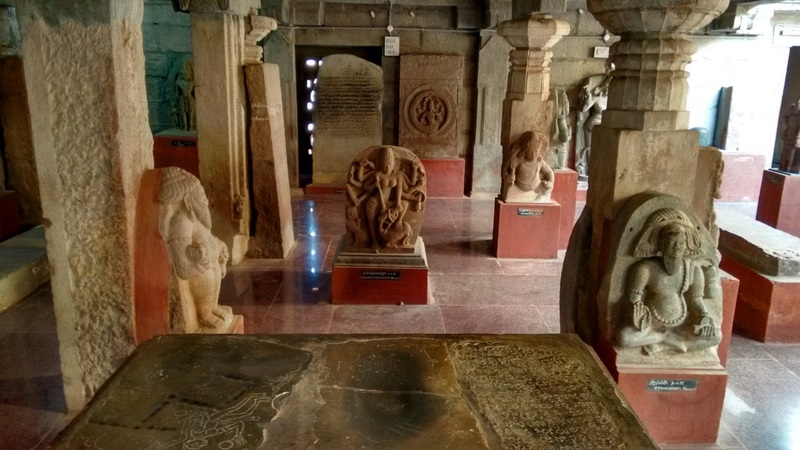 The little village is home to an archaeological museum - a small collection of sculptures and inscriptions dating back to 6th to 12th century CE. 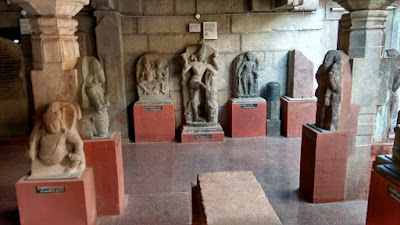 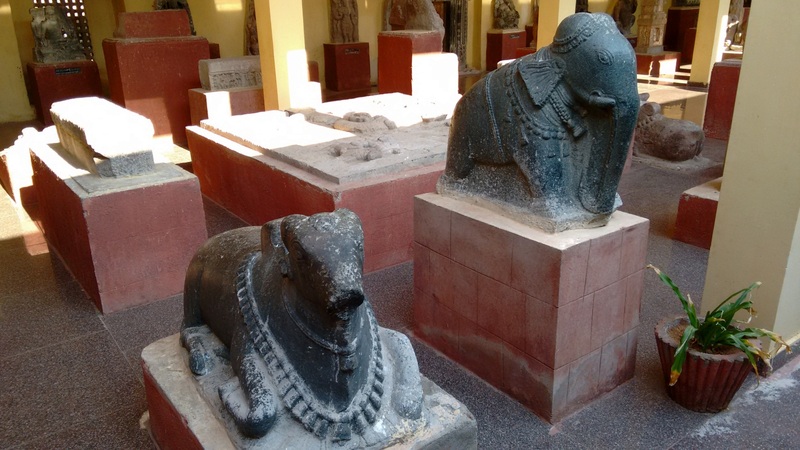 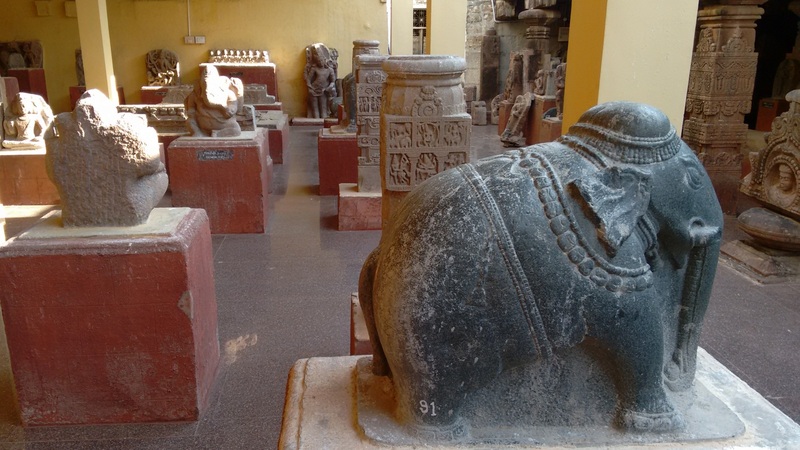 Among the museum's collection is a rare sculpture of Lajja Gowri. 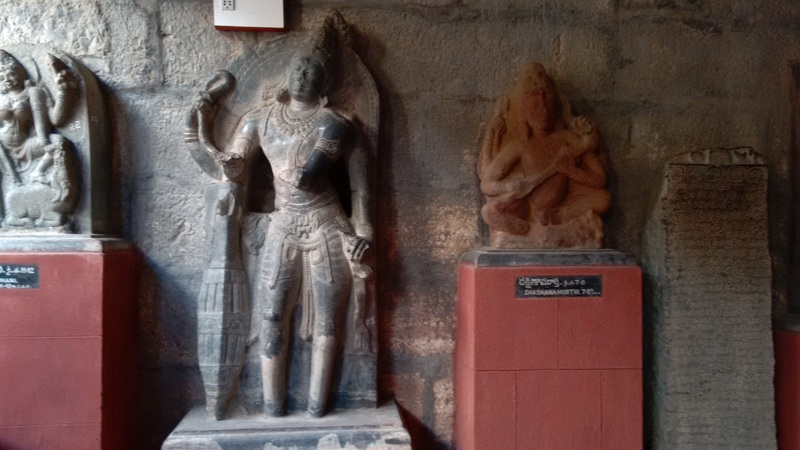 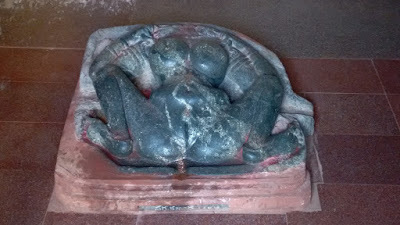 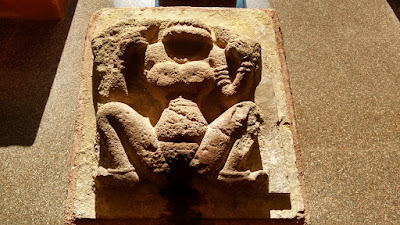 A life size copy of Lajja Gowri can be seen at the archaeological museum of Badami. Now to the museum.. 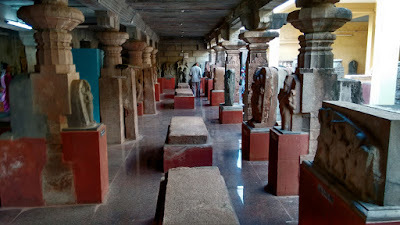 The museum interior- the columns supporting the roof themselves are ancient, probably this building must have been a temple or a Mantapa earlier. 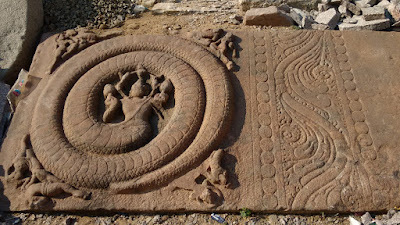 Dear sir i have read your Talewadi: cascade in Mahadeyi river. Your article was very nice. 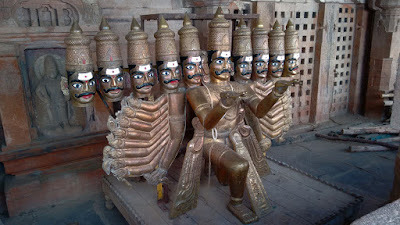 Its very nice view of talewadi village.I want to visit talewadi can you give me contact no. of talewadi ganpati uncle. Hi Milind, your comment is on the wrong post. Anyway, I seem to have misplaced Ganpati's number.